what is the best way to get rid of scorpions in an old house full of clothes and stuff. Scorpions can hide anywhere - not just clothes. More than likely they have gotten into the attic, outer walls, etc. Scorpions eat insects and anywhere insects are, you are likely to find scorpions. 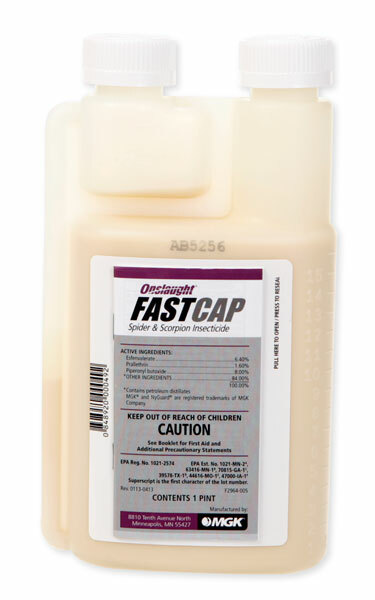 The best thing to do to control Scorpions, is to treat the indoor areas with a microencapsulated insecticide such as Onslaught Fast Cap, Demand CS or with a wettable powder insecticide such as Demon WP. Spray along baseboards, under and behind furniture, etc. Onslaught gives up to 12 months of control in certain areas, and is specially designed for control of scorpions and spiders. Also use ePest IPM Bug Traps placed under furniture, in closets, etc. to trap them. Outdoors, use Onslaught Fast Cap and perform a complete exterior band spray around the perimeter of the home. Be sure to spray under logs, rocks, and anywhere scorpions can hide. Perform this treat every 60 -90 days and you will get ahead of the scorpion "curve". Check the ePest traps regularly and dispose of them when they get full. For mice, try using the Mini Rex Trap or Trapper LTD Glue Traps. Place them in areas where you find mice, be sure to place them against a wall, and not in an open area. The trick to using mice traps is use a good lure such Provoke, and also use many traps, 8-10 traps or more. Using a single trap can be very frustrating. Use lots of traps with the right bait (not cheese) and or lots of glue traps and you should start catching them. Again, the copper wool works great to seal up holes so mice can't get in from outdoors. If you don't stop them from getting in, you will never solve the problem.